"Superb course and learnt a lot. Equipment very good and high standard. Thanks for a great weekend." "Very well structured course with lots of activities and different things to do during the course. Boat fitted well, paddle was very good. Plenty of boats to try and spray deck / helmet was very good! Technical information was very useful. Practices were good / helpful. Learnt a lot and felt I progressed over the course, not just learning how to coach"
Please note that these are on the large size as the extra volume you need for neoprene socks is already calculated into the size . You should therefore order the same size as you have in normal outdoor footwear. For people with narrow feet, Bestard suggest going down 1/2 UK-size compared to your normal shoe size. NB: These boots are imported from Europe and orders can take a while to process. If you are interested in ordering a pair please contact us. 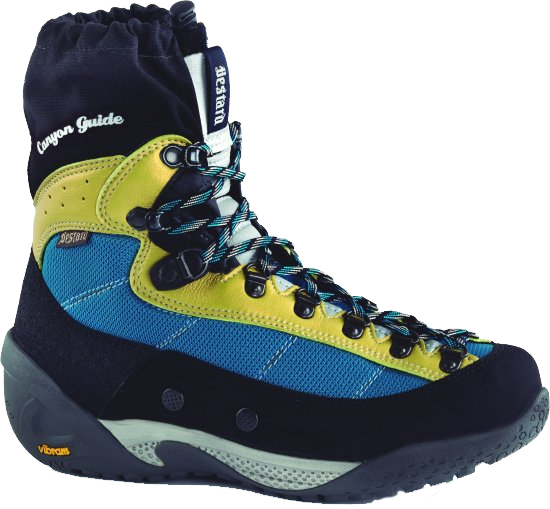 Canyon Guide boots are also manufactured in a special version for women, available in sizes down to UK 31/2. 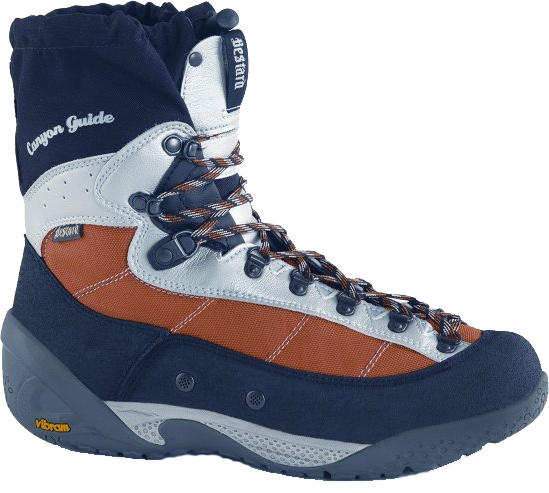 Apart from the small sizing, this model has a slightly less voluminous fit (‘Canyon Lady’ last) and a different colour combination than the original Canyon Guide boot. On all other details, the canyon Gulde Lady is exactly as the original version designed and manufactured specifically to offer maximum performance in adventure-sport activities where humid conditions and wet, slippery environments are the norm: caving, canyoning, white-water kayaking, tropical and monsoon-season treks and the like. We occasionally have quality used boats and equipment for sale. Click the button below to see what's currently on offer. You can demo boats at a cost of £15, which will be deducted from the sale price if you decide to buy.